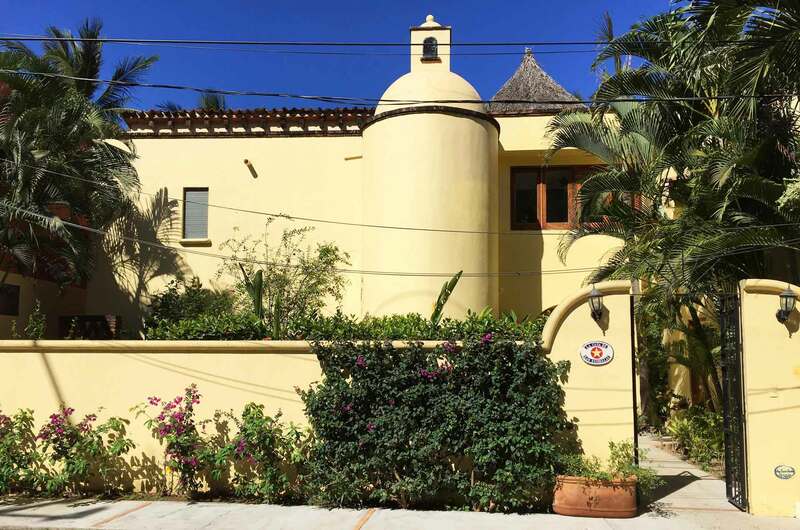 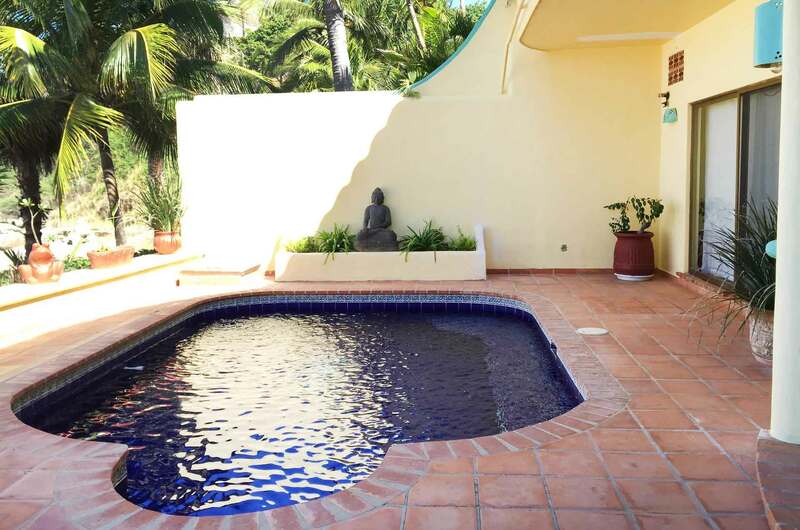 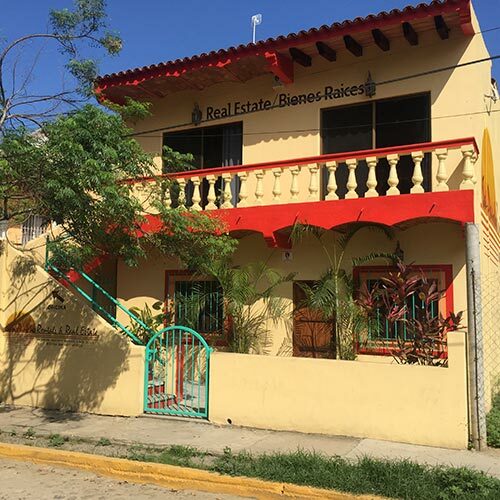 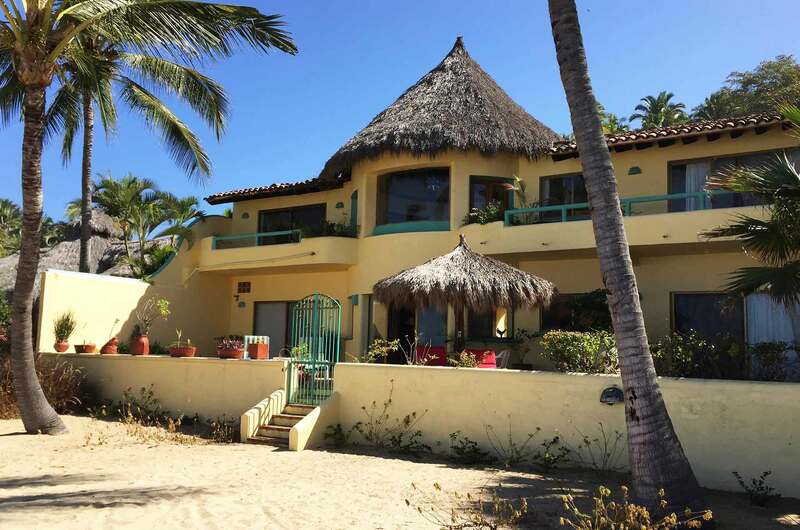 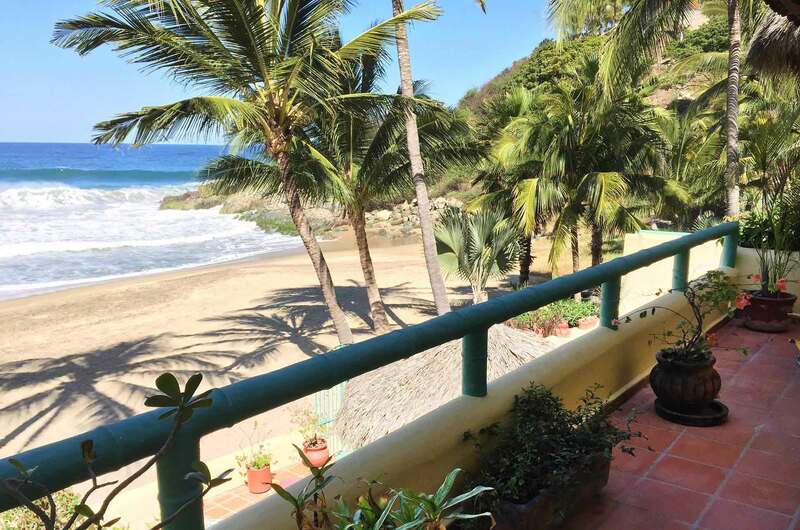 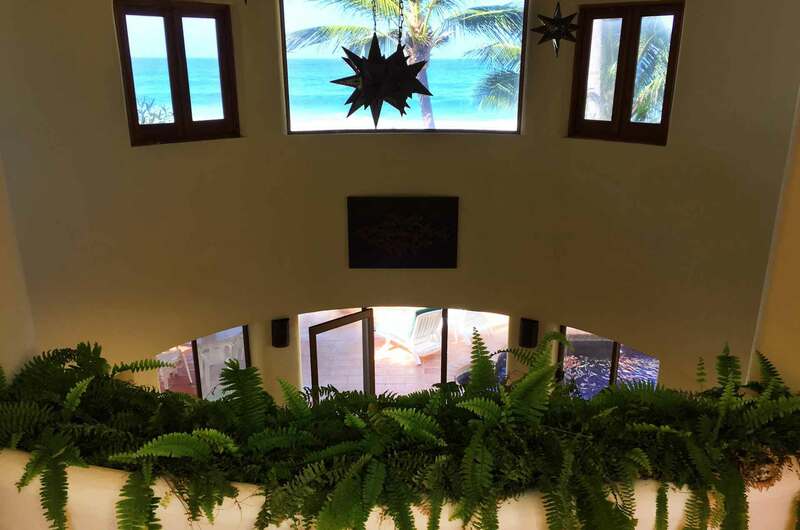 Casa de las Estrellas is one of the few, two-story Mediterranean style villas located on the northern end of the beautiful, pristine San Pancho Beach. 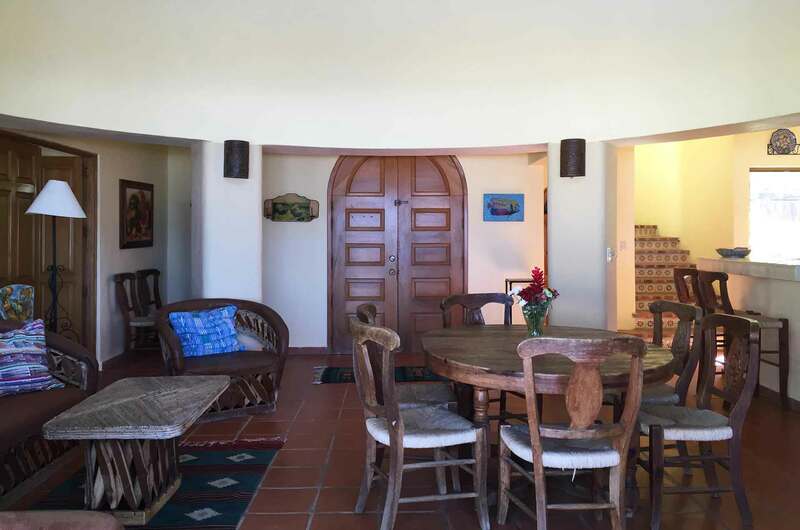 Casa De Las Estrellas boasts Spanish style wrought iron gates which first open into a sprawling tropical garden, then, hand carved wooden doors lead into a spacious villa. 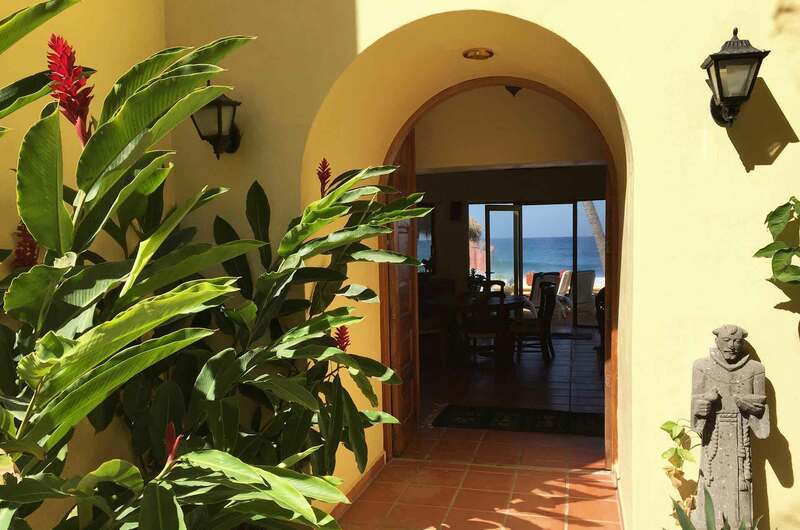 Once inside, one is immediately mesmerized by the breathtaking scene of the beach and ocean.  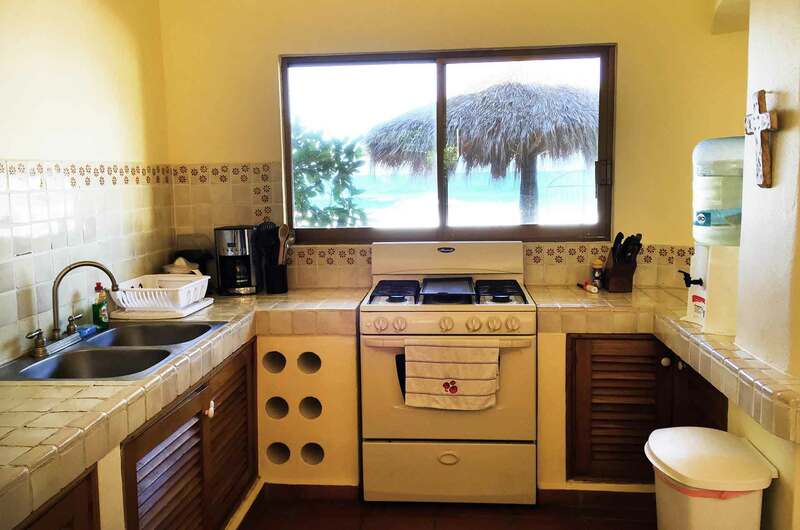 All bedrooms, and dining/living/kitchen have ocean/beach views. 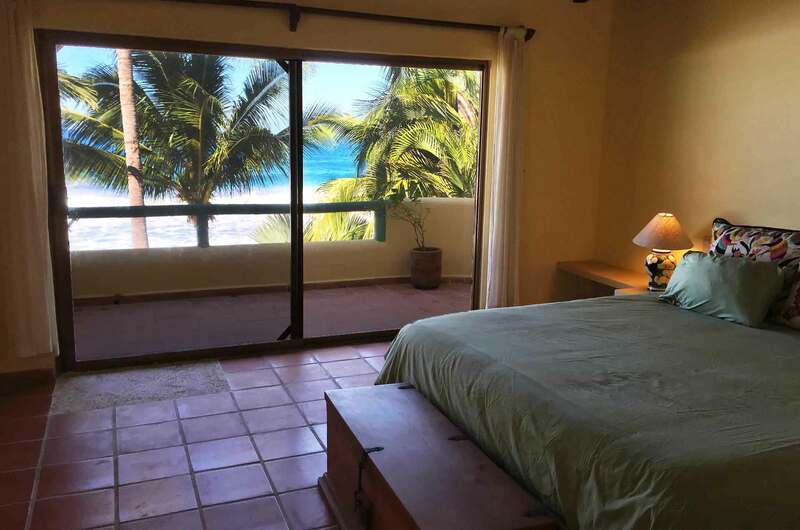 Two master bedrooms are located upstairs; both with California king size beds, en-suite bathrooms and private beach/ocean view balconies. 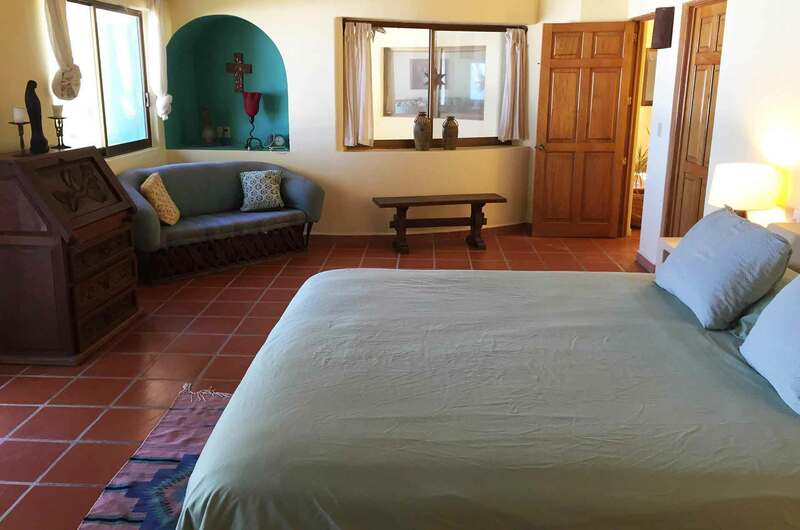 The 3rd, twin bedroom and bathroom is located on the ground level along with the kitchen/dining/living great room. 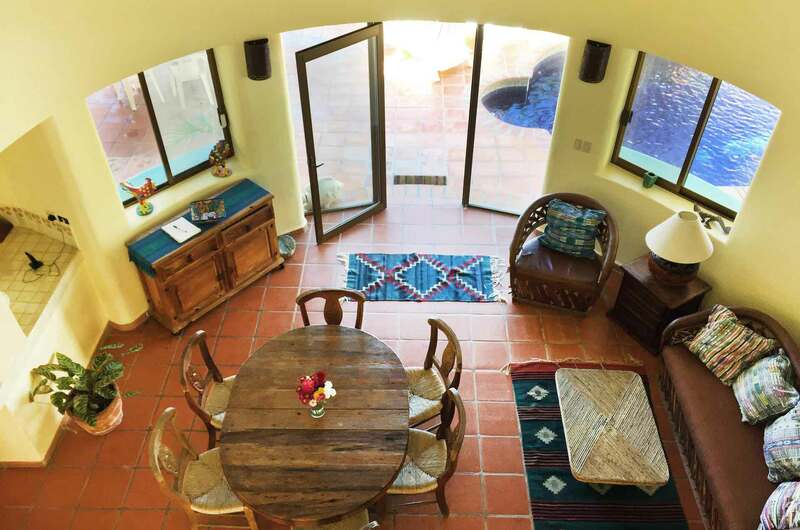 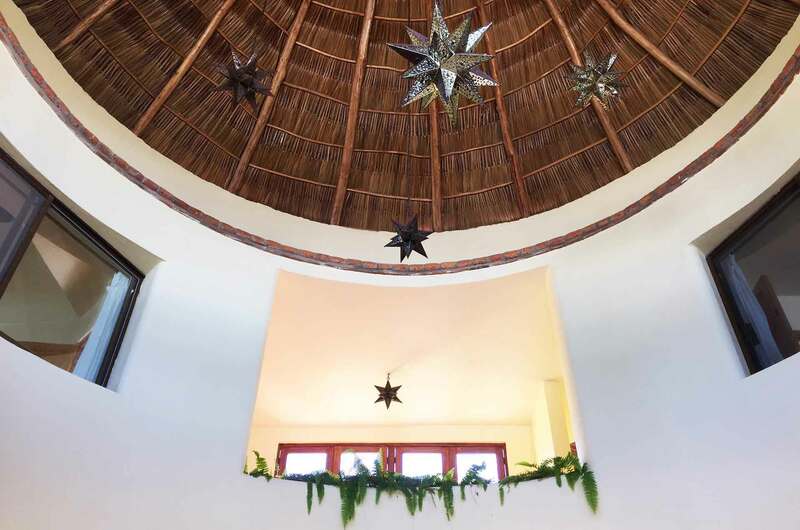 This open great room was designed with a soaring interior palapa (palm ceiling) with hanging star mood lighting, hence the name, Casa De Las Estrellas (House of the Stars). 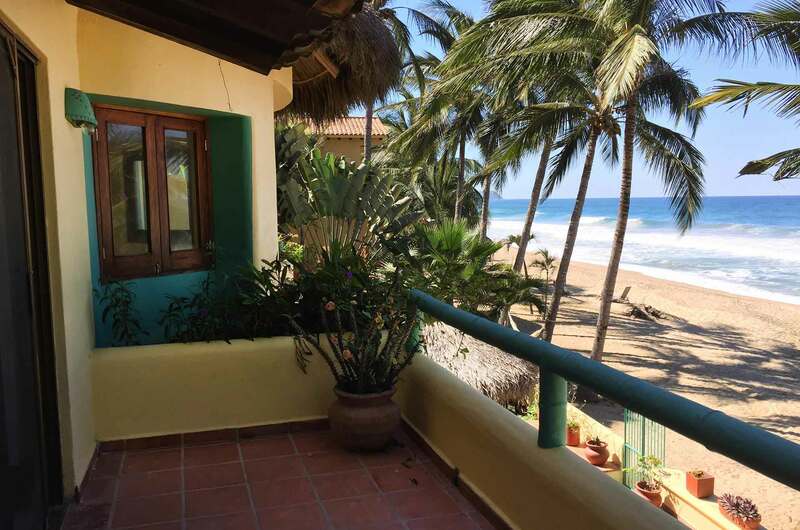 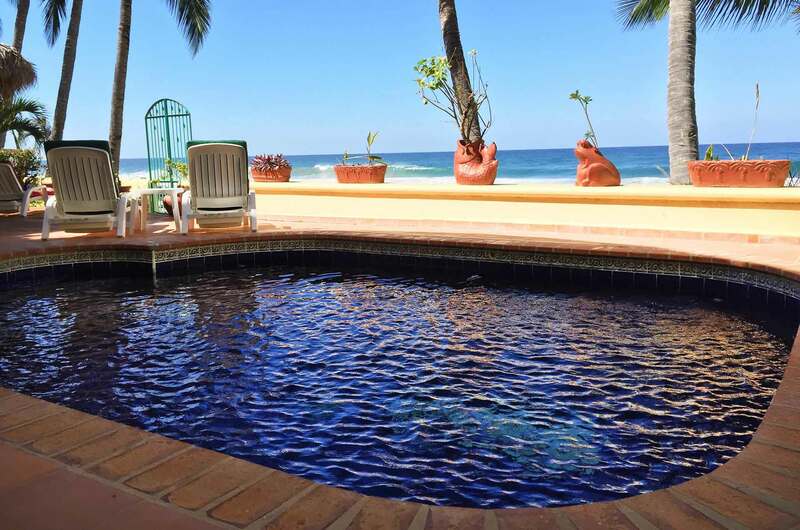 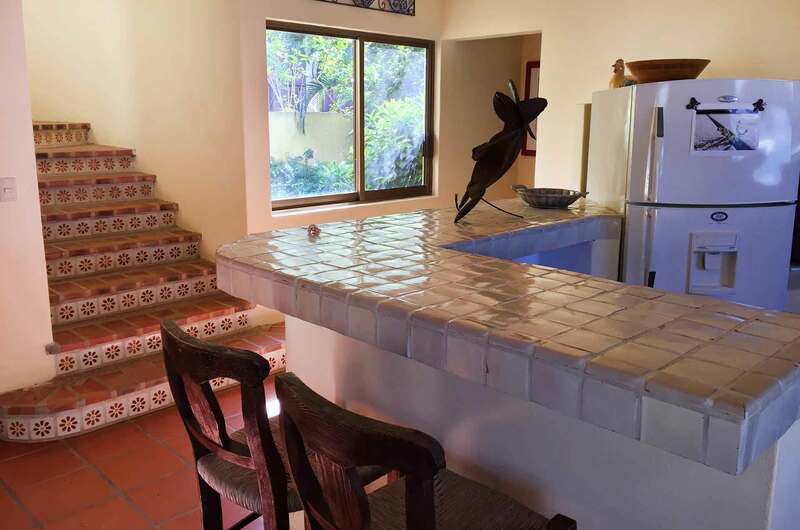 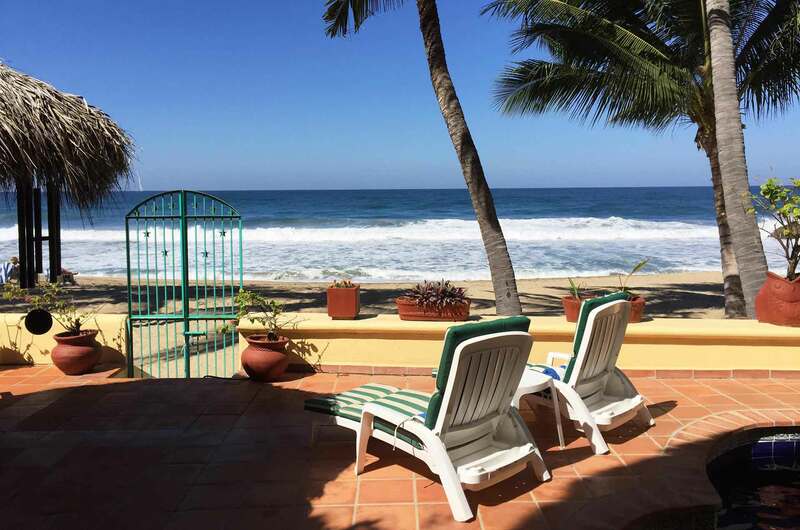 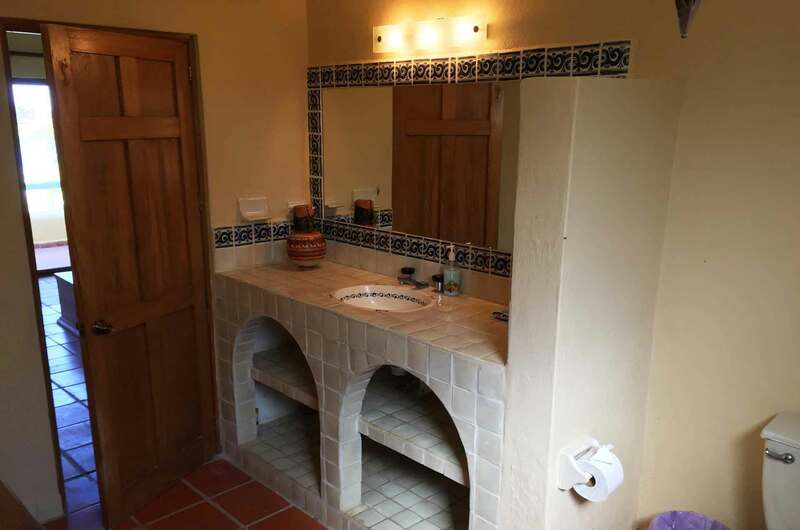 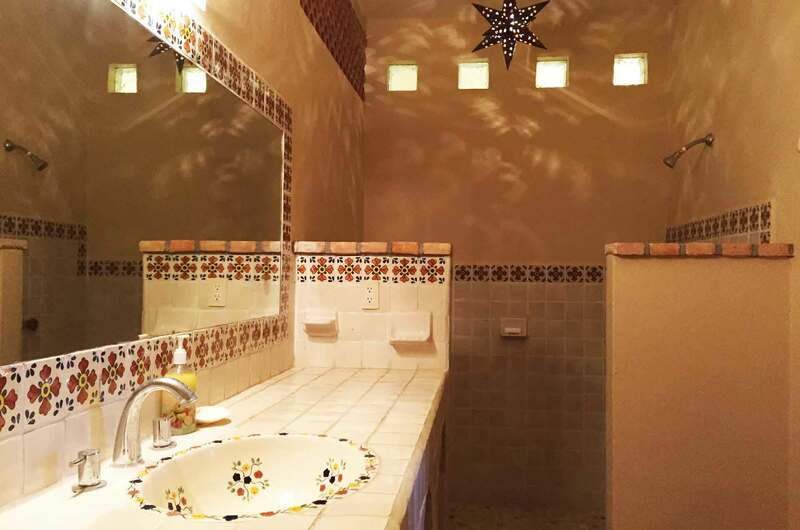 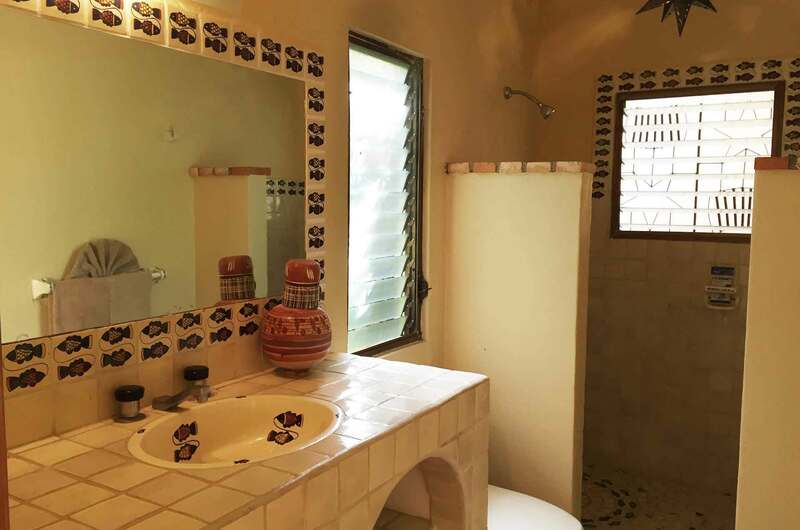 Casa De Las Estrellas also includes a den with ocean/beach view, pull-out full size bed and full bathroom, charcoal barbecue, large outdoor beach/ocean terrace, free WiFi, iPod docking, and best of all, a swimming pool fronting the Pacific Ocean. 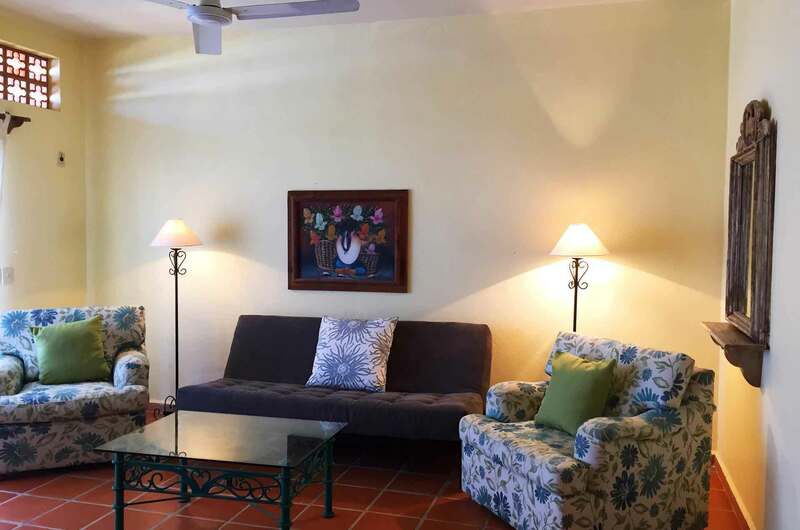 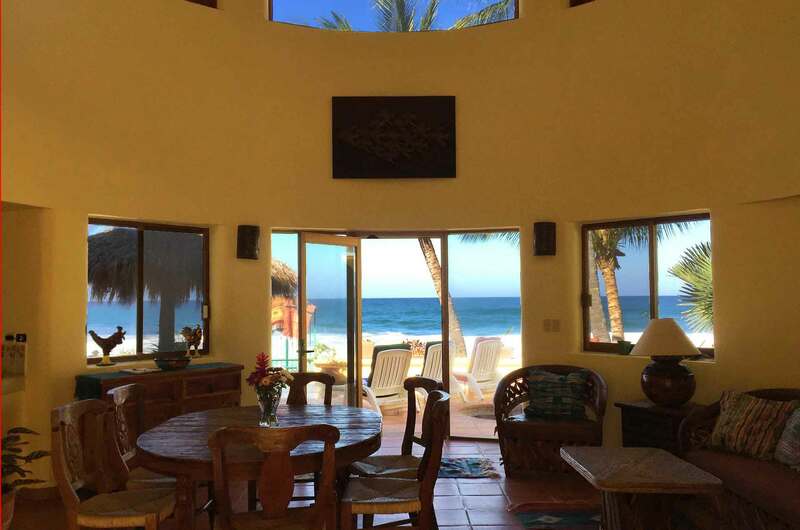 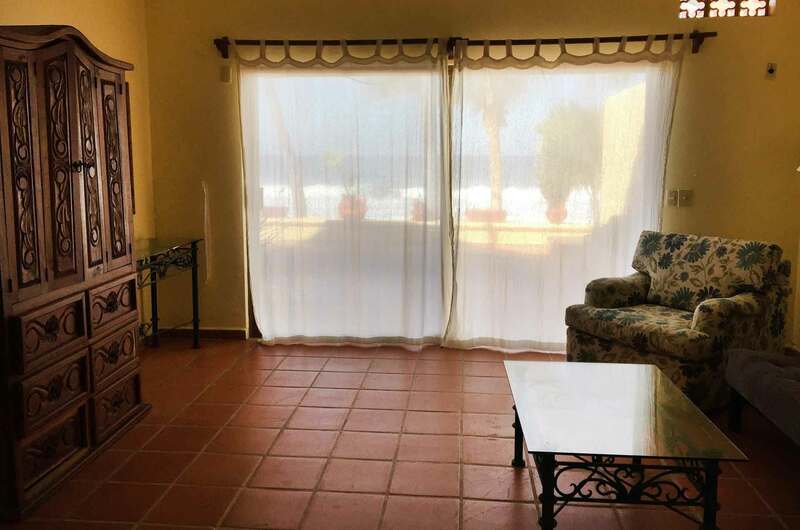 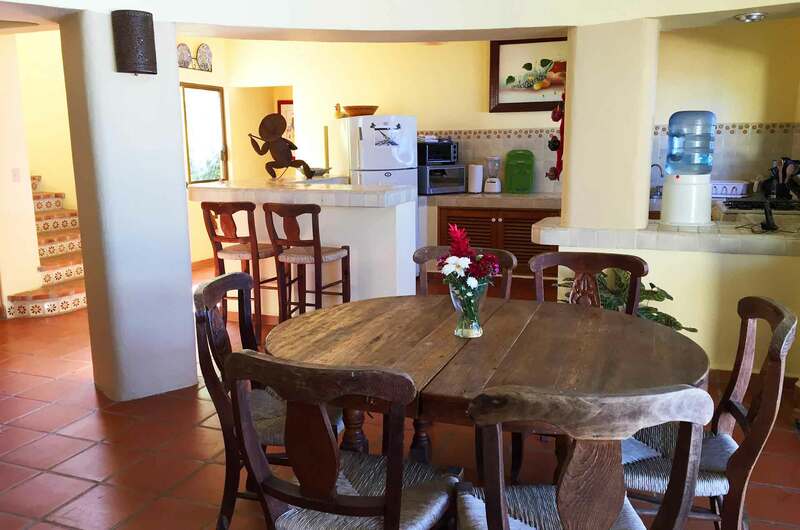 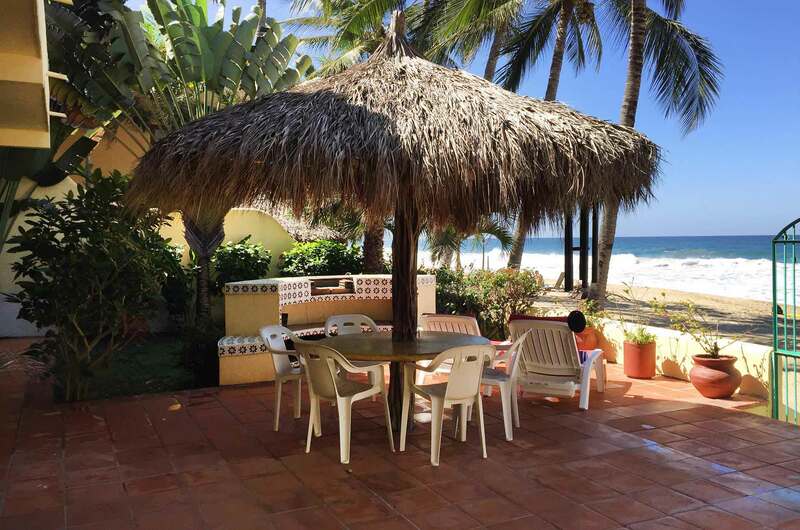 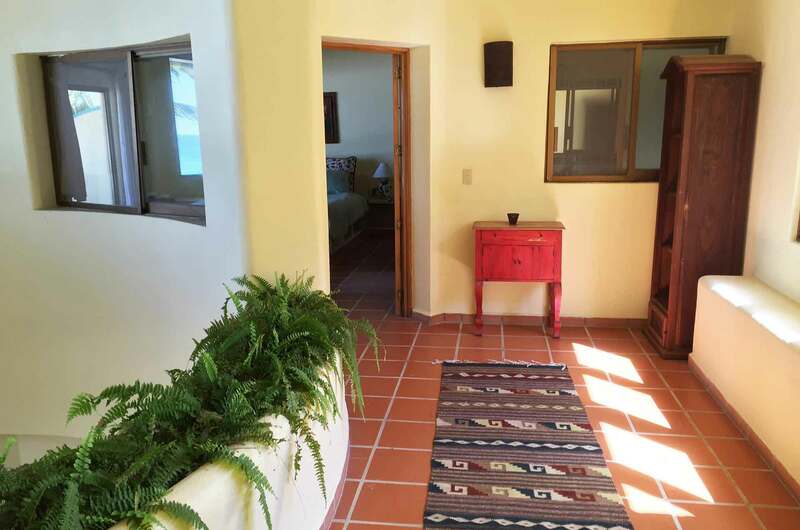 Casa de las Estrellas is the perfect beachfront home for a group of friends and/or families. 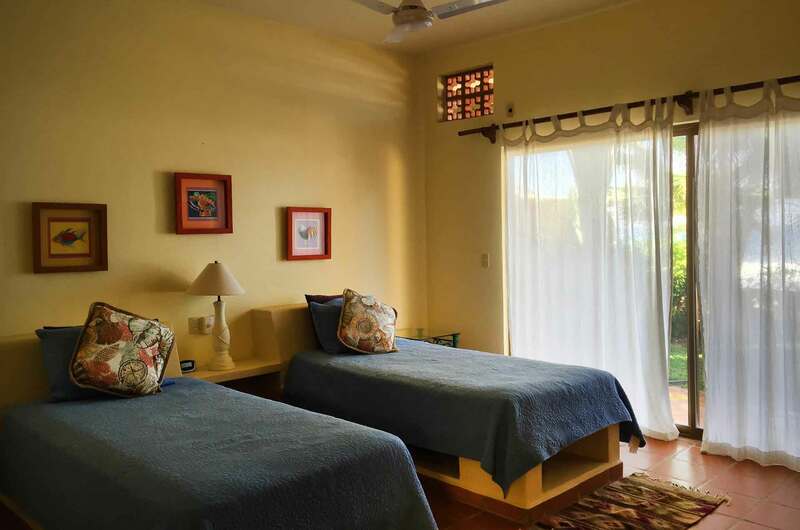 Enjoy the quaint village with quaint shops and excellent local restaurants, experience the variety of adventure tours, lounge at the home while listening to the surf and/or watch the sunsets from the pool terrace, whatever one decides Casa de las Estrellas has it all!